Since the early 1980s, Steve Heimbecker been creating arts works for manifestation in multi-channel sound systems, multi-channel data representation, audio performance, installation, large scale sculpture, video montage and fine arts in general. 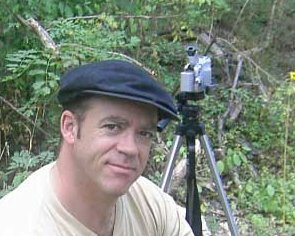 He works in Montreal, or in situ during various artist residencies or commissions. Conceptually, Heimbecker’s work is based upon his fascination with the architecture of space and the measurement of time within space, often implying the sound wave (sine wave) as the unit of measurement for this work, and includes his natural inclination toward synæsthetic representation. This approach is a catalyst for the creation of immersive installations and compositions that use layers of information (visual, sculptural, sonic, digital) to be peeled away by the observer to form diverse, formal and far reaching associations.